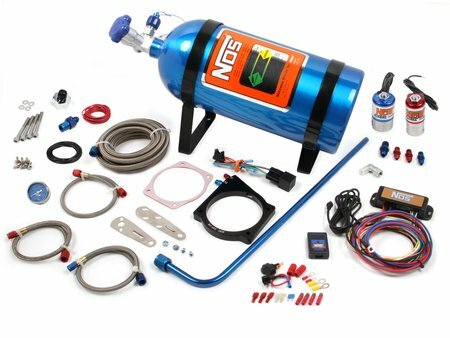 Nitrous Oxide Systems is pleased to announce the release of an assortment of new nitrous products in black, including a 5th Gen Camaro trunk bottle-bracket mounting plate, bottle accessories, cheater solenoids, nitrous fittings and adapters, and dry gauges. Read on for more information on each of these new products from NOS. NOS 5th Gen Camaro Trunk Bottle Bracket Mounting Plates make it easy to install a nitrous kit in your 2010-15 SS, RS, or standard Chevrolet Camaro without having to drill any holes. Compatible with 10-, 15-, and 20-pound nitrous bottles, these black-anodized brackets are made from 6061-T6 aluminum and a perfect fit for the existing cargo-net studs in the trunk. They come complete with four matching black aluminum thumb screws and pre-installed rubber isolators that eliminate annoying squeaks and scratches to your interior trim. 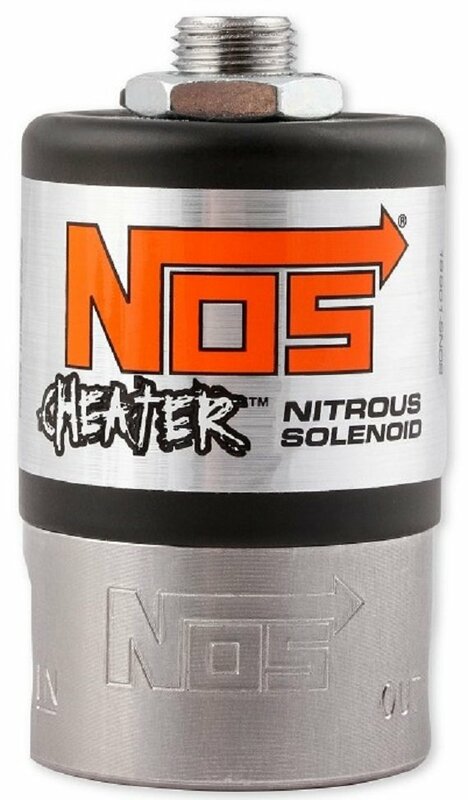 NOS has expanded its line of black bottle accessories with a wide array of new products to complement the recently released gloss-black nitrous bottle. The Black Bottle Valve Blow-Down Tube, necessary whenever a nitrous bottle is mounted inside the passenger compartment, directs the nitrous outside of the cockpit in the event of an over-pressurization. It's made from 1/2-inch 6061-T6 aluminum and features a smooth 90-degree bend. The Black Racers Safety Blow-Off Adapter protects against nitrous bottle over-pressurization – if bottle pressure exceeds 3000 psi, the adapter vents it into either a black diffuser cap or a blow-down tube. NOS' popular line of Cheater nitrous and fuel solenoids has just become is also now available in black. 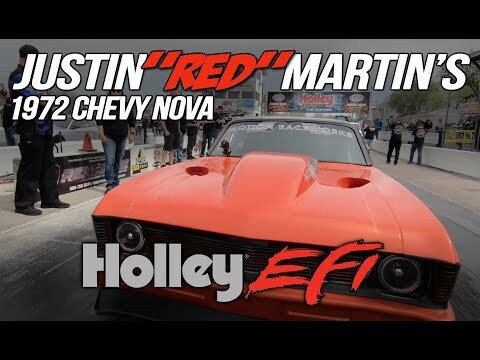 Featuring satin black coil covers with brushed decals and polished bases perfect for any era of muscle car, they're offered in three different variations: a nitrous solenoid, large-body fuel solenoid, and small-body fuel solenoid, all with the same quality and reliability of the original blue and red Cheater series solenoids. NOS has expanded its already exhaustive line of black fittings and adapters with 11 all-new applications. In-line adapters, internal pipe plugs, female pipe tees, AN/NPT tees, AN/AN tees, AN/AN male unions, AN/NPT male adapters, 90-degree elbow adapters, and tube nuts and sleeves for flared hard lines are all now available, each made from 2024 aluminum for maximum strength and durability. 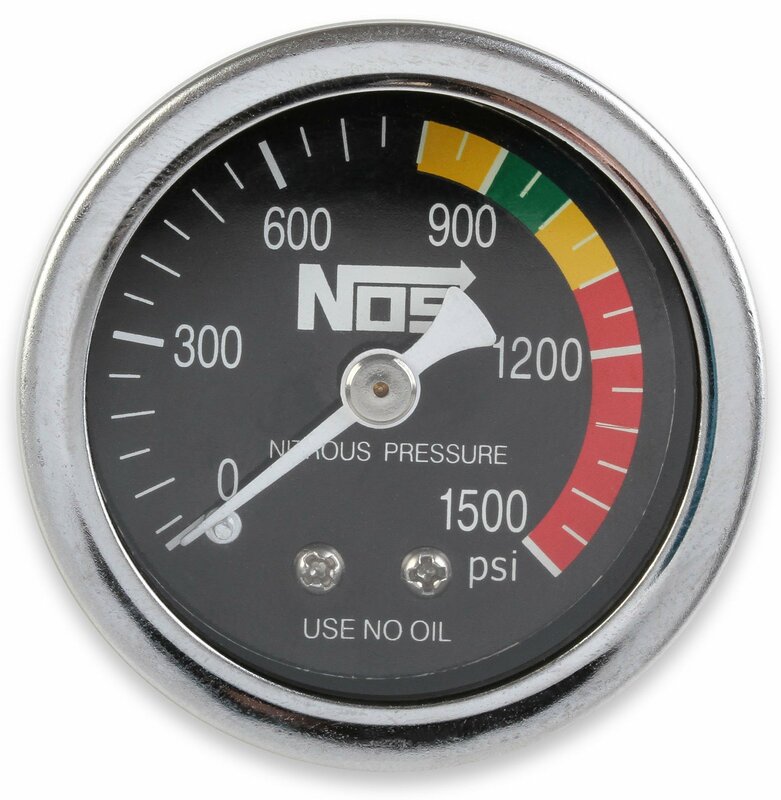 NOS' 1.5-inch dry-nitrous gauge lineup has been expanded to include models in black, NOS Blue, and a black-dial face with color-coordinated indicators that make it easy to read bottle pressure at a glance. 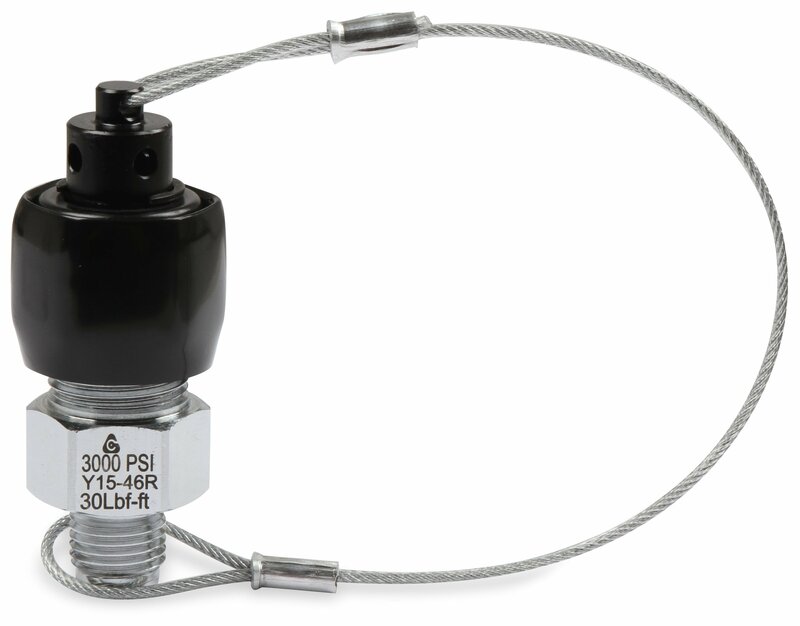 In addition to the individual gauges themselves, there are also complete gauge kits that include an in-line gauge adapter for a remote-mount location or bottle valve without a gauge port, and they all come with a stainless steel case and all-brass internals. See detailed product information for NOS 5th Gen Camaro Trunk Bottle Bracket Mounting Plates. See detailed product information for NOS' complete line of bottle accessories. 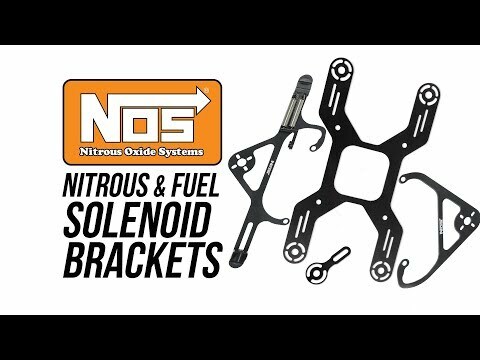 See detailed product information for NOS' complete line of nitrous solenoids and service parts. 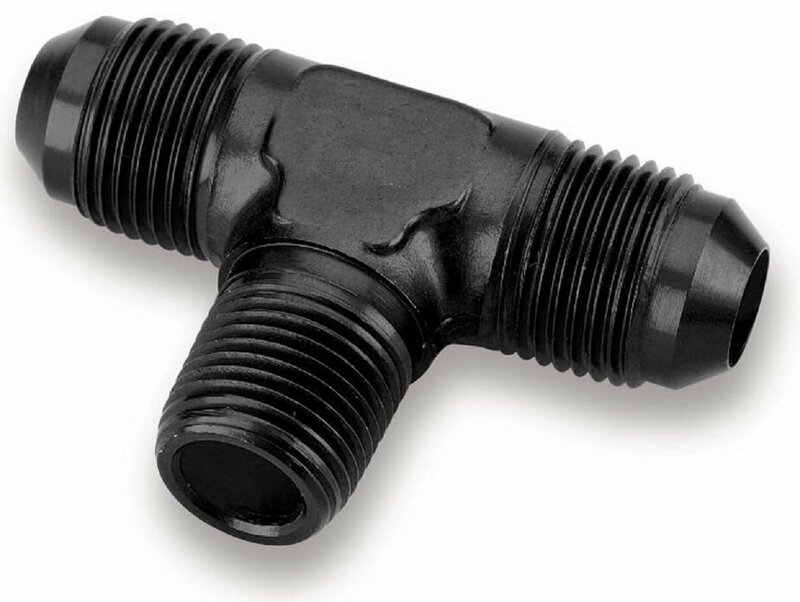 See detailed product information for NOS' complete line of fittings and adapters. 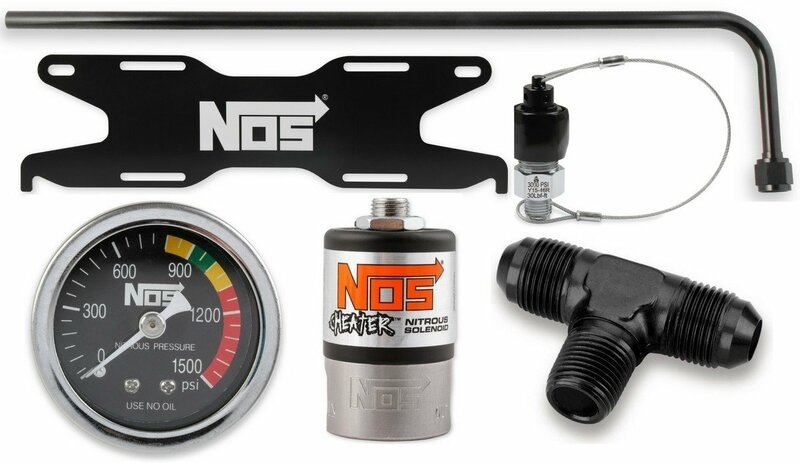 See detailed product information for NOS' complete line of nitrous gauges. 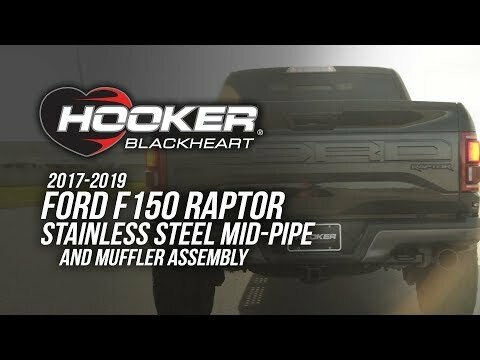 Choose from black Power Shot and Super Pro Shot solenoids, hex distribution blocks, black solenoid-mounting brackets, and black AN Y-block adapters.